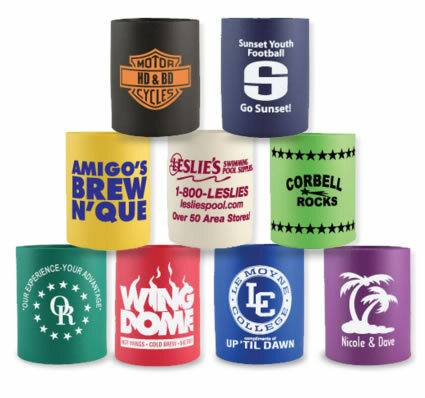 Customize your personal koozies with Online Beer Coolers for all your events and parties. We always know what your clients want to express through their Koozie design. Personalized Koozies can been done almost any way imaginable, some people like to put personalized sayings on their koozies, others like a specific artwork . The OBC team loves customizing koozies to personally make each customer that orders with us is happy. Everyone likes every detail of their party to be perfect, so do we! We think of your party like our own! Try it out, we can give the best advice and prices on the internet today.